The boat rides below the Falls schedule has not been released as of 4/12/2019. They may be open the first week of May but we cannot verify this until they release the official opening date. For more information visit www.maidofthemist.com for the US boat rides and www.niagaracruises.com for the Canadian boat ride. The Cave of the Winds typically opens two weeks later. Updates will be posted right here if there are any changes. Thank you! We recently moved our Niagara River Webcam to the Lighthouse at Old Fort Niagara in beautiful Youngstown NY only a short drive north of Niagara Falls. 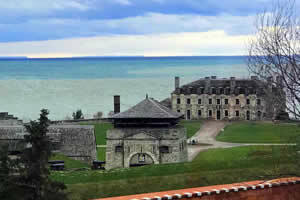 The view from here is spectacular and overlooks the Old Fort Niagara grounds and Lake Ontario. Watch the Fort Live, Lake freighters transiting across Lake Ontario and the ever changing weather. Of course you can always view our Niagara Falls Live webcam streaming the mighty Niagara Falls 24/7 . The value of the Canadian dollar is extremely low these days and trading at about .75 cents USD. A $200.00 per night hotel room in Canada will only cost $150.00 US. If you have ever wanted to visit Niagara Falls Canada now is the time to book that vacation! Planning your visit to Niagara Falls has never been easier. First you need to figure out the best way to get to Niagara Falls. Our “How do I get to Niagara Falls” page is full of valuable information on arriving here by everything from planes to trains and automobiles. 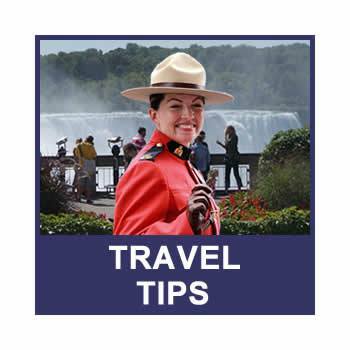 The Travel Tips page offers information on crossing the border, passport information to what type of weather you can expect during your visit. Of course you will want to view the falls in all its splendor but we’re sure you will want to try some of the associated attractions. Just visit our attractions page and pick and choose what you might like to try. 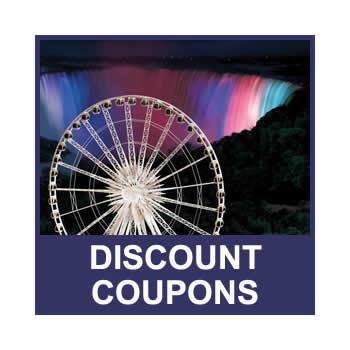 There are discount passes for Niagara Falls attractions available for those who want to visit multiple attractions or if you have limited time just pay individually for each attraction as you go. The next step is to decide on where you would like to stay. Our Niagara Falls Hotels pages offer all the insight you need to choose a place that will suit your needs. 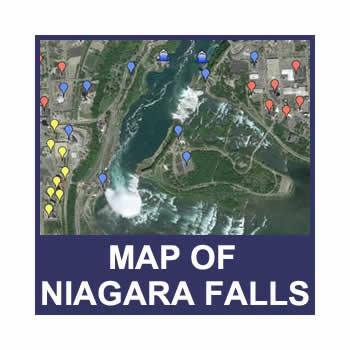 If you can’t find what you are looking for check out our sitemap or send an email to info@niagarafallslive.com. We’d be glad to help you plan your visit! What is the most exciting adventure besides visiting the Falls? 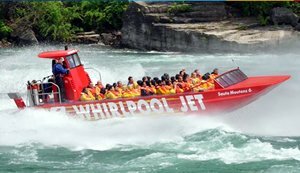 The Whirlpool Jetboat ride is the most exhilarating ride on the planet! Over 1.5 million people have experienced the thrills of riding through the Niagara Rapids on board one of their 1200hp turbo diesel jetboats. Reservations are required and there are departures from both the Canadian and USA sides of the Niagara River. 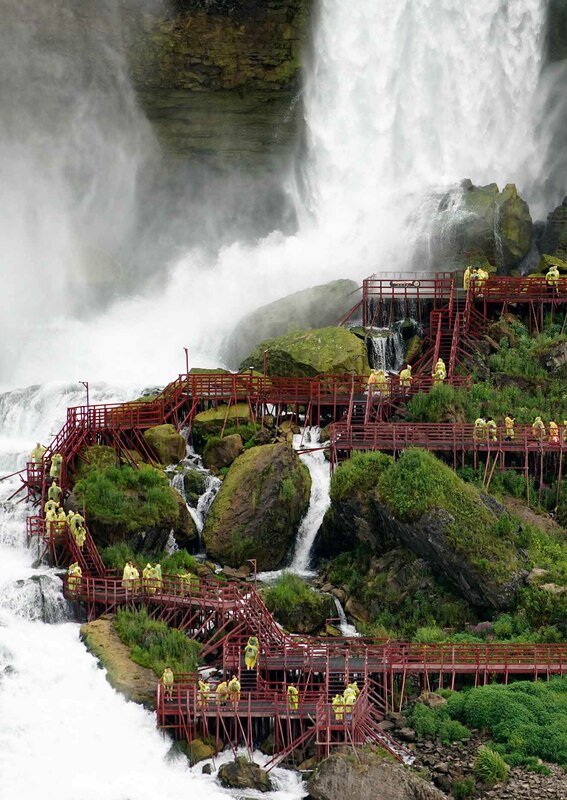 This amazing ride is considered to be one of North America’s most thrilling experiences. 2019 season typically begins in late April. For more information and discounted rates you can start here. Experience the mystery and art of illusion with Greg Frewin, International Grand Champion of Magic. This Las Vegas Style Magical Review features spectacular appearances by our rare and majestic tigers. Your imagination will be captivated and you will be amazed “Beyond Belief!” A family friendly show featuring large cats, and illusions which astounded International audiences at the Flamingo Hilton in Las Vegas for two years. Come enjoy a Las Vegas show in Niagara Falls! For more info visit the Greg Frewin Theatre. 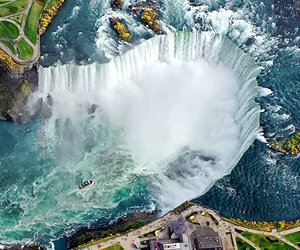 If you are visiting Niagara Falls this season and would like to try something truly unique try to find the time to visit the IMAX Niagara Falls. This IMAX film takes an in depth look at the history surrounding our natural wonder and is something all ages can enjoy. 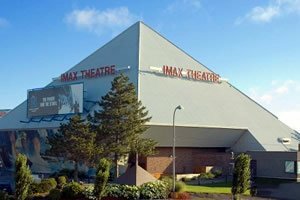 Visit IMAX NIAGARA FALLS for more information! 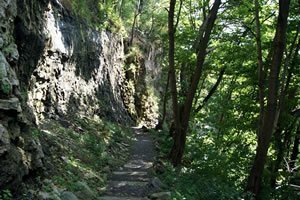 Many visitors to Niagara Falls are unaware that we possess some of the most beautiful hiking trails in North America. 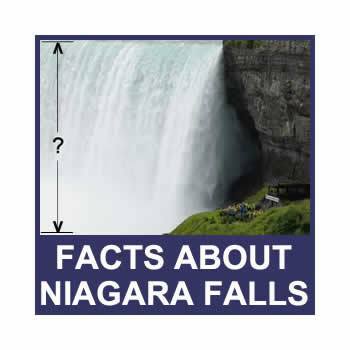 The area known as the Niagara Gorge begins at the Falls and extends almost 5.5 miles (9 km) to the north. The gorge is accessible at various points along the Niagara Parkway on both sides of the Niagara River. You can hike down to the rivers edge for some breathtaking views of the local flora and fauna. Visit our hiking page for details! Congratulations to the winners of our annual Niagara Falls photo contest. We had hundreds of great entries from visitors from all over the world. A big thank you to all that participated ! Niagara Tower Hotel. 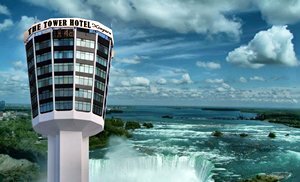 If you are visiting Niagara Falls and want to stay at a truly unique hotel check out the Niagara Tower Hotel. Originally built in the 1960’s as a restaurant and observation tower. In 2002 it was converted to a boutique hotel with floor to ceiling windows and a view that is second to none. Spend a night or two at this amazing Niagara Falls Hotel. Find more information on every Niagara Falls Hotel. Stay close to the Falls for less! If you are on a budget like most of us and would like to be close to all the action at a reasonable price check out the Days Inn Fallsview or view our complete Niagara Falls Hotel selection. They have clean comfortable accommodations and the staff is great! Days Inn Fallsview features free Wi-Fi internet access in all rooms, large-vehicle parking for a nominal fee, and a refreshing seasonal outdoor pool. Jacuzzi suites are available, and kids 17 and under stay free with an adult. The Days Inn Fallsview not only offers an amazing location (1 block away from the Falls, Fallsview Casino, Niagara Parks and more) it also offers all of the amenities you’d expect from a Days Inn Hotel. The catwalk below Bridal Veil Falls at “Cave of the Winds”. It is erected every Spring after the ice melts and removed in the Fall! 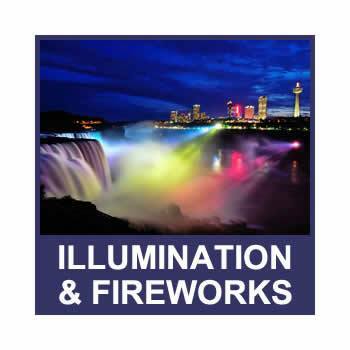 2019 will be our twenty second year of providing the most concise information in an easy to navigate format on Niagara Falls. 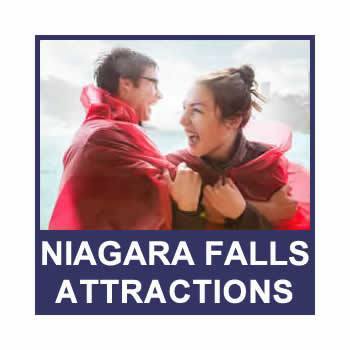 If you have any questions, comments or suggestions which would enhance our visitors guide feel free to contact us at info@niagarafallslive.com.